Separated by millennia, Aristotle and Sigmund Freud gave us disparate but compelling pictures of the human condition. 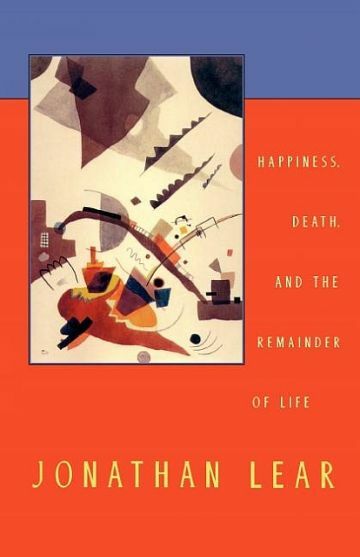 But if, with Jonathan Lear, we scrutinize these thinkers' attempts to explain human behavior in terms of a higher principle--whether happiness or death--the pictures fall apart. Aristotle attempted to ground ethical life in human striving for happiness, yet he didn't understand what happiness is any better than we do. Happiness became an enigmatic, always unattainable, means of seducing humankind into living an ethical life. Freud fared no better when he tried to ground human striving, aggression, and destructiveness in the death drive, like Aristotle attributing purpose where none exists. Neither overarching principle can guide or govern "the remainder of life," in which our inherently disruptive unconscious moves in breaks and swerves to affect who and how we are. Lear exposes this tendency to self-disruption for what it is: an opening, an opportunity for new possibilities. His insights have profound consequences not only for analysis but for our understanding of civilization and its discontent.